Shopping, waterfront dining, a nice selection of Virginia wines: You can find all these at many places in Virginia, but if you want to experience them in a truly one-of-a-kind place, visit, head to the Chesapeake Bay Bridge-Tunnel before October 1, 2017. It’s not often that someone is eager to spend $18 in tolls just to go eat at a casual restaurant, but there we were, at long last. After years of saying “We need to go there someday,” we finally did, and it wasn’t completely by choice: with the restaurant closing in a matter of weeks, it was now or never. 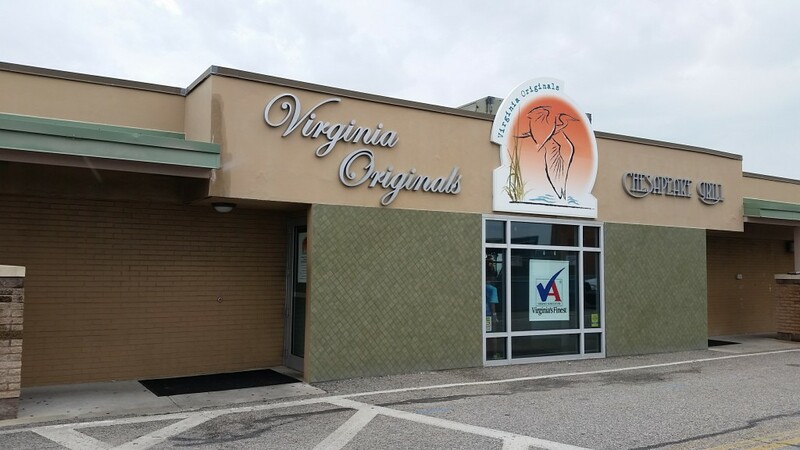 If you have not yet visited Virginia Originals and Chesapeake Grill, or you’re overdue for a return, make plans to go soon. This one-of-a-kind place is closing September 30, 2017. When it does, the Chesapeake Bay-Bridge Tunnel restaurant, a unique bit of Virginia, will live on only in the history books. A restaurant like few others. To understand what makes the restaurant unique, just look at photos of the Bay Bridge-Tunnel. 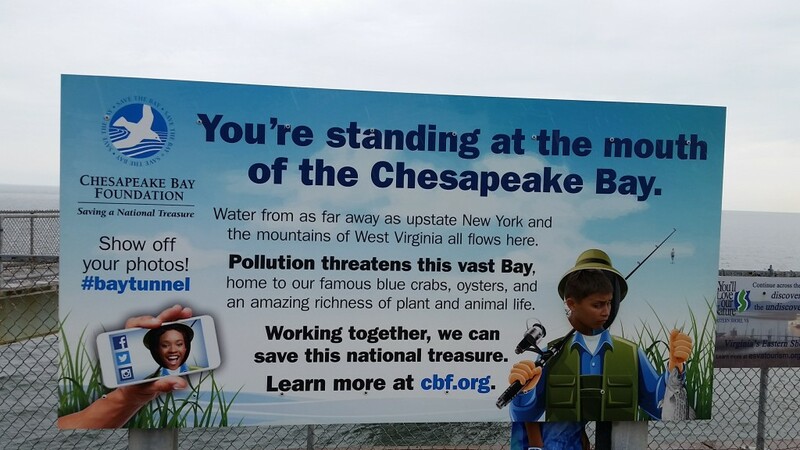 People seeing a picture of the CBBT for the first time, not knowing what it is, might be surprised. A bridge over a long bay seems to disappear straight into the water, only to rise again a few miles later, then disappear yet again. 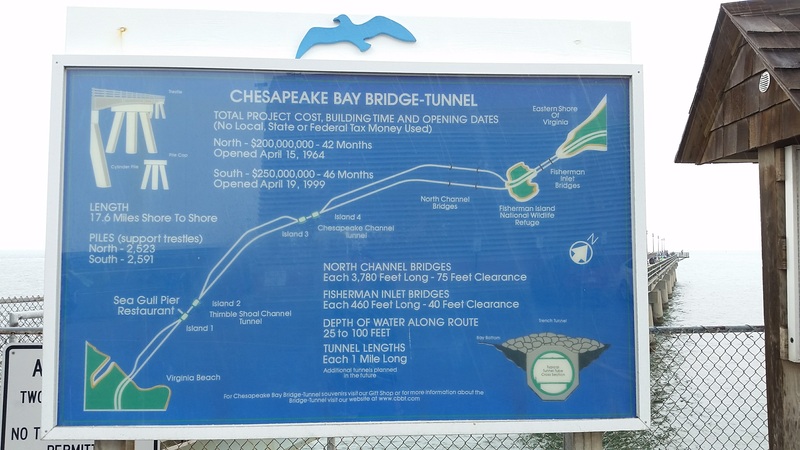 For more than 50 years, the Chesapeake Bay Bridge-Tunnel, named “One of the Seven Engineering Wonders of the Modern World,” has been a source of wonder and awe. Crossing above and below the waters where the Chesapeake Bay meets the Atlantic Ocean, it provides an easy path for vehicles and large ships. The parts where the bridge ends are of course the sections where the tunnels begin. This combination creates channels that allow large vessels to cross the waters while the road traffic continues to move. 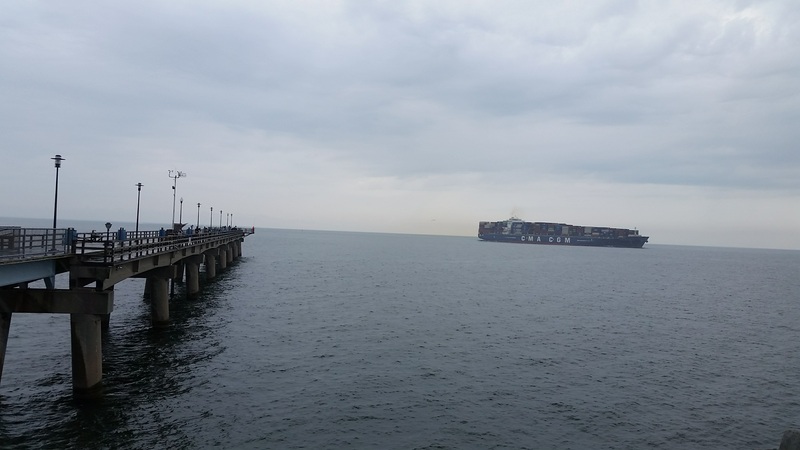 And move it does: the CBBT connects the Hampton Roads area to Virginia’s eastern shore, and soon will accommodate more drivers thanks to an expansion. But this construction requires that the restaurant be torn down. Dining with a view! Even on a cloudy day, this is a great spot. A little casual restaurant on a man-made island doesn’t sound all that extraordinary until you consider its location. It’s not often that you get to dine in a place on a narrow strip of “land” with the Chesapeake Bay on one side and the Atlantic Ocean on the other. Throw in the passing naval and cargo ships, nice views (if you can time it right), and people-watching on the pier, and Virginia Originals and Chesapeake Grill makes for a nice little outing. The menu features many seafood dishes and their typical sides, such as hush puppies. The restaurant itself (where the Sea Gull Pier restaurant used to be) is small and with limited window seating. But it’s nice, the food is good, and the service is great. 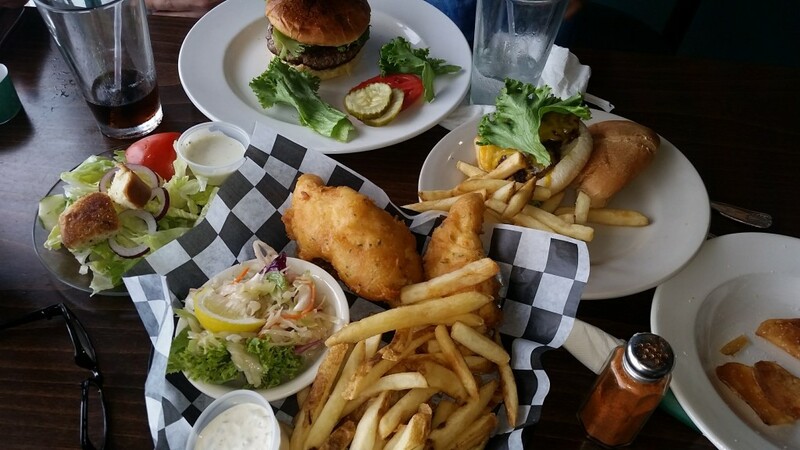 Menu items include fish and chips, burgers, and salads. We lucked out, with only a short wait and a coveted window seat overlooking the bay (the restaurant only faces the Chesapeake). This was a treat, even on a cloudy and rainy day (the photos here are unedited so you can see what I saw). …Imagine how nice it is on a clear day or at sunset! The menu is reasonably priced and we were happy with our fish and chips, hush puppies, burgers, and the homemade Old Bay potato chips that our server kindly brought (for free) to our hungry young son. While we ate, we saw people fishing and many ships passing through, something you also can enjoy at the pier (see next section). The Virginia Originals gift shop carries collectables, CBBT items, Virginia wines, handmade jewelry, kids’ toys, and home decor items. 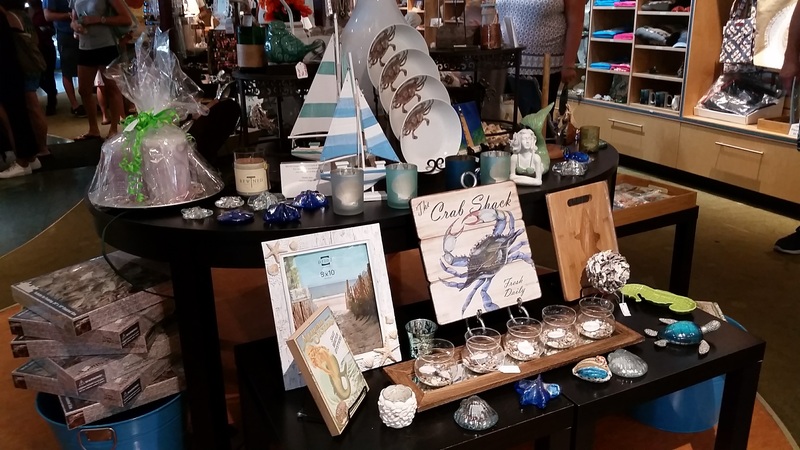 If you have to wait for a table at the Chesapeake Bay-Bridge Tunnel restaurant, spend time in the gift shop, which includes a surprisingly large selection of Virginia wines along with typical mementos such as shirts and refrigerator magnets and beautiful hand-crafted jewelry. The gift shop includes several Bridge-Tunnel themed collectables and books. Unfortunately, time is running out for this experience: the new project to extend the CBBT that starts in October 2017 could not accommodate the restaurant. The upcoming construction (which will make the bridge-tunnel complex four lanes along its entire length by 2022) requires the restaurant to be torn down, and rebuilding it was not financially feasible, project planners say. 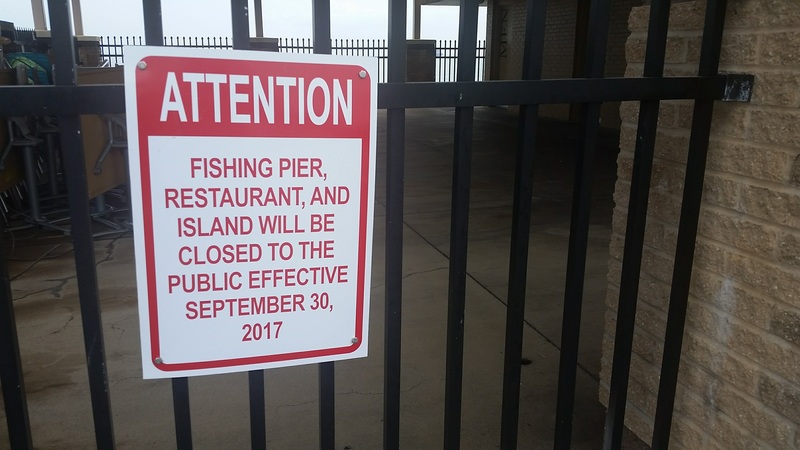 While the restaurant won’t return, the fishing pier will be back after the project’s completion. This pier is popular both for its location and price. Here, anglers can enjoy deep-sea fishing with no need for a boat, paying only the cost of the tolls to get to the island, one of the four man-made islands along the CBBT. The pier is a popular fishing and tourist spot. 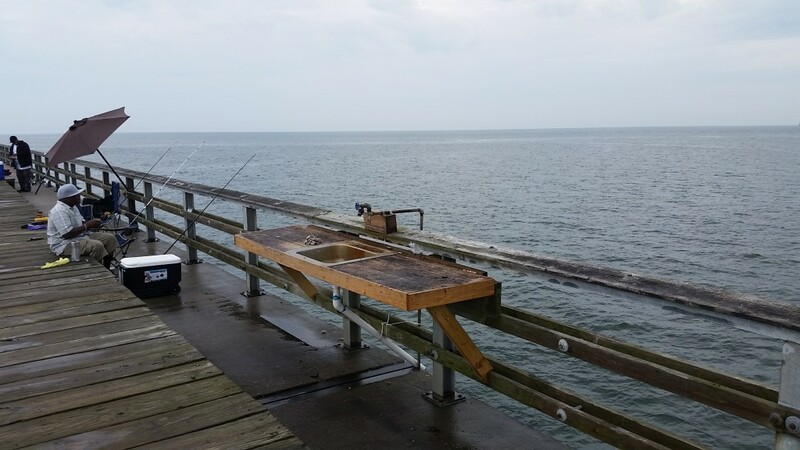 The 625-foot Sea Gull Fishing Pier lets you fish 3.5 miles from the Virginia Beach shoreline with just an easy car ride (one-way tolls are $13-15). There’s no charge to use the pier, there are cleaning stations and a certified weighing station, and the pier is open day and night. 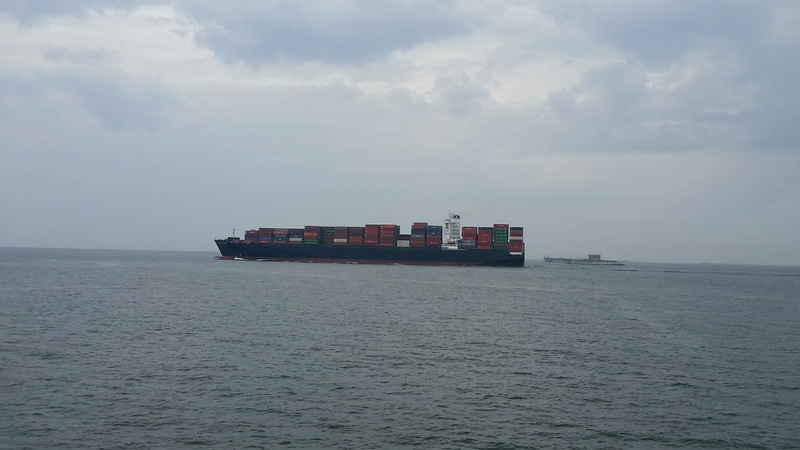 During any visit, you may see multiple cargo ships. 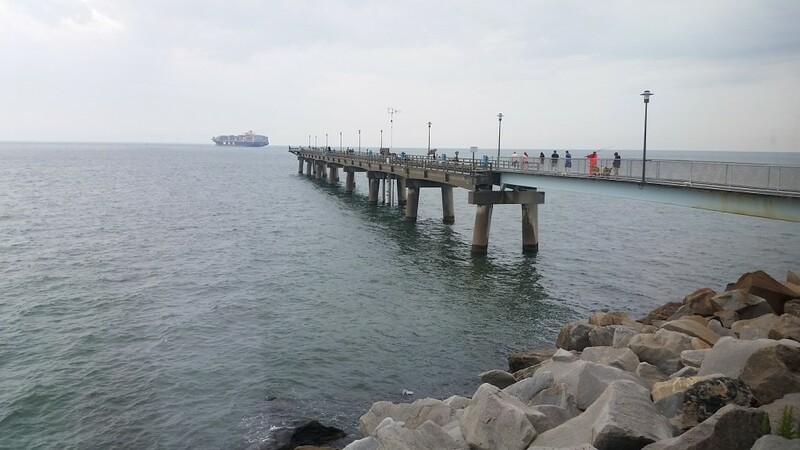 But the wheelchair-accessible pier is not just for fishermen: it’s great to just walk along it to the very end, watching recreational boaters, cargo vessels, and large Naval ships go by. These are good conversation-starters for families. We enjoyed telling our son about the nearby naval base and how ships bring in many of the items we use each day. You may even get to see wildlife. 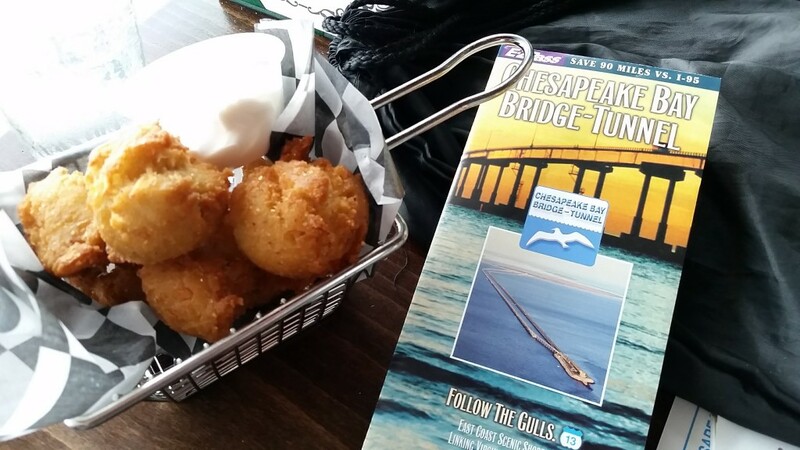 Virginia Originals and Chesapeake Grill is located on One Island on the Bay (also known as Sea Gull Island). This is the southernmost island on the CBBT and the first one you’ll encounter going northbound. The restaurant is immediately before the bridge becomes a tunnel and it’s easy to miss if you’re not looking out for it. On our first ride along the Bridge-Tunnel, we were so giddy about entering the tunnel that we totally missed the signs. On this visit we were diligently on the lookout and we made it just in time. The CBBT toll is $13 ($15 during peak periods) for cars one way. Return trips within 24 hours are $5 ($3 peak). Getting on the CBBT just to go to the restaurant and pier will cost you up to $18, but it’s worth it. The alternative to drive the whole length of the Bridge-Tunnel is a long one I don’t recommend if you’re going from the Hampton Roads area back to Northern Virginia. But if you do take the long way back (traveling through the Eastern Shore), stop at the overlooks to enjoy the feeling of being in the middle of the ocean. There are a few fun photo opps, too. If you plan to visit on a weekend, be prepared for possible delays. Our server said that weekends, predictably, tend to be busier times. But even if you have to wait, remember: after October 2017, you will not have this chance again! A part of Virginia history. Share the post "The Virginia restaurant you must visit before it closes"